I love workplace crime fiction. Something about a little mayhem spicing up the ho-hum of the office holds a special appeal for me. Give me a dead client found in a solicitor's office deed box in Michael Gilbert's Smallbone Deceased (1950), or early morning muggings and coffee break mob threats at Manhattan's scroungiest hospital in Josh Bazell's Beat the Reaper (2009), and I'm a happy reader. As a recovering law firm lawyer, I'm particularly excited about upcoming books that give some attorneys more to think about than the latest contract or court date. 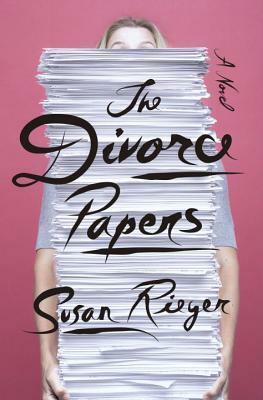 Let me start with a non-mystery, Susan Rieger's The Divorce Papers (Crown, March 18, 2014). Sophie Diehl is a Yale Law School graduate of recent vintage, practicing criminal law with a small but prestigious firm in fictional New Salem, Narragansett. Her career path suddenly veers off course when she is assigned to handle the divorce of Mia Meiklejohn, the daughter of a very important firm client, from prominent pediatric oncologist Daniel Durkheim. The novel takes the form of Sophie's file on the case. I read an advance reviewing copy of the book and enjoyed never knowing when I turned the page whether I'd next be reading a handwritten nastygram from Mia to Daniel; a formal (but razor sharp) settlement offer letter from Sophie to Daniel's shyster lawyer; a gossipy email from Sophie to her best friend Maggie about Sophie's dating life, her sometimes difficult relationships with her parents or her in-office nemesis, Fiona; a newspaper article; an interoffice memo between Sophie and the senior lawyer who mentors her; or the text of a precedent-setting court opinion. Sophie comes across as a smarter and more adroit Bridget Jones, and there is a large cast of other interesting characters, but it's Mia who steals every scene she's in. At first, she epitomizes the old saw "hell hath no fury like a woman scorned," but she has the sensitivity, savvy and concern for her young daughter to rein in her instincts to exact some spectacular revenge on Daniel. Still, she can draw blood with a few well-chosen words in a note left on the kitchen table. 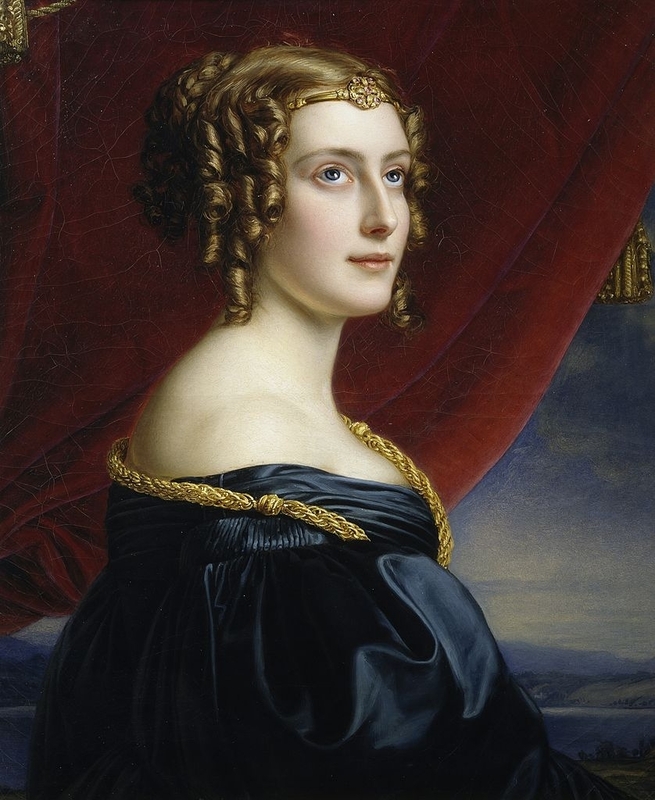 Our friend Lady Jane Digby's Ghost thinks The Divorce Papers might well end up being a best seller, and I sure wouldn't bet against that. I think it deserves to be, but it's definitely not for everybody. Its characters are privileged, sophisticated and highly educated, which leads to a style of writing that is more formal and self-consciously intellectual than in a typical novel. It's also full of long, dense legal and financial documents. Some people will hate those aspects, but my (non-precedential ;-) ) opinion is that it's an entertaining coming-of-age novel about two strong female characters. 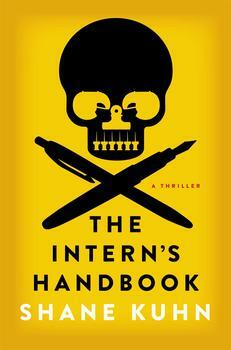 In Shane Kuhn's The Intern's Handbook (Simon & Schuster, April 8, 2014) (reviewed by Periphera here), John Lago is 25 and is an extremely hard-working intern at a top-tier Manhattan law firm. This isn't his first intern job, but that's not because he got fired or laid off or anything like that. He leaves jobs once he's achieved his professional goal––which is to kill his target inside the company. Yep, Lago is a hit man, and The Intern's Handbook is his professional guidebook and confessional tale of his last assignment. Lago has reached retirement age at HR, Inc., the front that looks like a regular placement agency for interns but actually places hired killers inside corporate America, where they can get close to the highly-placed executive types that are their targets. In his guidebook, Lago addresses new recruits to HR and gives them the benefit of his vast experience. This ticks so many boxes for me that I'll either love it or be disappointed because of my too-elevated expectations. Do you remember that old satirical recruiting poster that said something like "Join the Army, travel the world, meeting interesting people––and kill them"? Well, author Shane Kuhn has Lago riff on that right off the bat by saying (to his audience of recruits): "You'll meet unique and stimulating people from all walks of life. And kill them." Yeah, that's not an original bit of wit, but I like the tone. And yes, given my experience, just the idea of a hit man operating inside a big corporate law firm makes me giggle. If John Lago doesn't cause enough of a law firm kerfuffle, then I'll see if Franklyn Shaw can do the job. In Robert Glancy's Terms & Conditions (Bloomsbury, April 22, 2014), Frank is a lawyer in a small, family-run law firm in the UK. Frank's specialty is writing the fine print in contracts, which lawyers often call the Terms & Conditions, or T&Cs. What's it like being the man who writes the really important language––that people rarely read? That's actually a tough question because, as we begin the novel, Frank has suffered a traumatic brain injury in a car accident and doesn't remember much of his personal history. So Frank asks his brother and law-firm partner, Oscar, and his wife Alice, what he was like before the accident. They make it sound like he had led a satisfied enough life, if a little dull, but that doesn't sit right with Frank. Something tells him they're not being straight with him––and that ticks him off. He begins to find little clues in some of his T&Cs from old contracts that things weren't as Oscar and Alice claim. And sometimes little flashes of memory and emotion hit Frank and lead him along the path to the truth––and getting his own back. The UK's Independent calls the book "deliciously cynical," and "funny" and "poignant" are adjectives being thrown around a lot about this one. 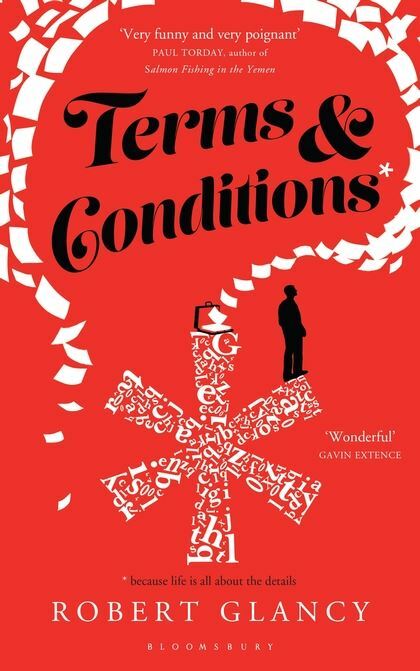 The feature that I think looks most interesting is that like Frank's contracts, where the devil is in those T&C details, the best stuff in this book is apparently in the footnotes. That makes me think of the hilarious explanations and digressions in footnotes in Beat the Reaper, and I'm looking forward to getting out the reading glasses to make sure I get all of Frank's fine print. From law firms, we move to another dog-eat-dog world; that of stock analysts. In Ted Scofield's Eat What You Kill (St. Martin's Press, March 25, 2014), Evan Stoess seems like he might have taken John Lago's course for killer interns. Evan was born in a trailer park with a plastic spoon in his mouth, but got a scholarship to a tony prep school and ended up as a Wall Street stock analyst with an obsession to prove himself by making more money than everybody else. After an act of God intervenes to tank a company that Evan had been promoting, losing Evan millions and his job, he decides that in the future he'll substitute acts of Evan to make sure things come out his way. This debut black-comic thriller, written by a New York-based corporate lawyer, looks appealing for fans of financial thrillers and villainous protagonists. That wraps it up for lawyer/corporate-themed spring books. I'm sure you're grateful for that. How about some high-concept books set outside the office? Imagine for a minute that you're a Hollywood producer sitting in your bungalow taking pitches. A hopeful comes in and says: "How about a Cold War movie about a top Hollywood star who turns out to be a spy for the USSR?" You say: "Alright, that sounds promising, but who's the star? Peter O'Toole? Sean Connery? Paul Newman? Or a bold choice like Sidney Poitier?" Answer: "Not even close. It's Marilyn Monroe." The idea is that Monroe, back when she was just Norma Jean Baker, becomes indebted to a man who makes her career as the blonde bombshell, Marilyn Monroe. He returns, years later, to demand payback: spy on President John F. Kennedy for the KGB. Marilyn sure didn't bargain for that, nor that she'd fall for JFK, get wind of plans to assassinate him, and have to take desperate and extreme measures to try to save herself, and maybe the world. Hey, producer person, how about we let some helium out of that high concept and look at a Cold War story that's a little more down to earth? In Ellen Feldman's The Unwitting (Spiegel & Grau, May 6, 2014), we have another story of love and intrigue set in those tense times in the 50s and 60s. The focus of the story is young, idealistic journalist Nell Benjamin. On the same day that JFK is assassinated, Nell hears news about her husband Charlie, editor of a literary magazine, that turns everything she thought about him and their marriage upside down. At a time when kids had to practice duck-and-cover drills in case nuclear-tipped rockets began crossing continents, as the great powers maneuvered for world hegemony, Nell questions everything she thought she knew about Charlie, herself, her profession, her country. 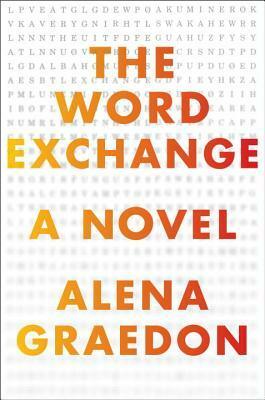 Let's jump ahead to the near future, with Alena Graedon's The Word Exchange (Doubleday, April 8, 2014). This one looks like just the ticket for people who enjoyed Robin Sloan's Mr. Penumbra's 24-Hour Bookstore and Max Barry's Lexicon––or who didn't read those particular books, but love books and take a jaundiced view of technology. Imagine a time in the future when your e-reader and smartphone mate with Google Glass and have offspring who grow up to be "Memes," electronic devices that you wear on your head and that not only act like wearable computers, but also make decisions for the wearer based on having learned past behaviors. When it's time for the wearer to head home, the Meme makes sure the elevator is called and traffic lights cooperate. These Memes sound like something worth having, right? Not so fast. Memes have made language nearly obsolete. Certainly, written books have very nearly disappeared. Protagonist Anana Johnson, her father Doug, and her friend Bart all work at NADEL, the North American Dictionary of the English Language, which is in the final stages of producing its last printed edition. When Doug disappears, leaving Anana a code-word message that he's in trouble, she and Bart head out on a journey to find him that will take them to all sorts of secret and dangerous places, but also to their holy grail spot, the offices of the Oxford English Dictionary. The scope of Anana and Bart's odyssey broadens when evil internet retailer Synchronic (Amazon?) opens its own marketplace, the Word Exchange, that allows users to create their own words and meanings, and this somehow sparks a "Word Flu" virus that robs people of their powers of intelligible speech. Remember in Lewis Carroll's Through the Looking Glass, when Humpty Dumpty says to Alice: "When I say a word it means exactly what I want it to mean"? It sounds like The Word Exchange imagines the world of chaos and loss of communication that would result if everybody followed Humpty Dumpty's example. I'll be reading The Word Exchange as soon as I can get my hands on it––in print, not on an e-reader. Bellweather Rhapsody is funny and exuberant, twisty and captivating. Racculia tells the truth here, about art and life and the many trajectories that talent can take. She's also written the most resonant descriptions of music––how it really works in the head and the heart––that I've ever read. For its darkness and its glee, I loved this novel. I definitely want to read this comic thriller––written by a bassoonist––about hundreds of high school musicians and other guests at a down-at-heels grand hotel, trapped by a blizzard and threatened by the disappearance of a guest from the same room where a notorious murder/suicide had occurred years before. Notes: I received free advance reviewing copies of the following titles discussed in this post: Terms & Conditions, The Word Exchange, The Intern's Handbook and The Divorce Papers. Portions of this post may appear in book reviews on Amazon, Goodreads and other reviewing sites under my user names there. Sister Mary, before I read your post, I thought going to work this morning was hard. Now I'm thinking as long as I'm not murdered there, it's a piece of cake. All these great-sounding books go wholesale onto my TBR list. Thanks. I too enjoy the occasional workplace crime. Chris Pavone's latest (mentioned in one of the earlier posts) was set in publishing and that's exactly why it appealed to me. INTERN'S HANDBOOK looks amazing! Definitely up my alley and one I'm looking forward to with great anticipation. Knowing about all these great books practically paralyzes me because of the overload of good choices. But I think I found a good solution. I'm going through all these posts and making a list of the real standouts (to me, anyway) and giving them to the acquisitions librarian at my local library. I am pleased to know about Ellen Feldman's new book. She's an interesting writer. I know what you mean about getting that feeling. I have a feeling about Bellweather Rhapsody. We'll see.